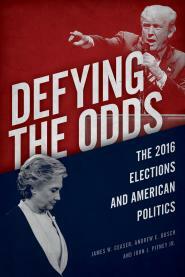 In Defying the Odds, we discuss the economic distress that brought down the Democrats. Non-college whites felt isolated, and in a direct geographical sense. In recent years, the people most likely to move for better opportunities were the highly educated, who clustered in places such as Silicon Valley, New York, Boston, and Seattle. The counties encompassing such areas accounted for much of the growth in new businesses after the Great Recession. Government spending enabled lobbyists and contractors to flourish: five of the nation’s ten wealthiest counties were suburbs of Washington, DC. Meanwhile, small rural counties shrank and faltered. In the recovery of the early 1990s, they had accounted for a third of net increase in new businesses. From 2010 through 2014, they lost more businesses than they generated. U.S. geographical economic inequality is growing, meaning your economic opportunity is more tied to your location than ever before. A large portion of the country is being left behind by today's economy, according to a county-by-county report released this morning by the Economic Innovation Group, a non-profit research and advocacy organization. This was a major election theme that helped thrust Donald Trump to the White House. New jobs are clustered in the economy's best-off places, leaving one of every four new jobs for the bottom 60 percent of zip codes. Most of today's distressed communities have seen zero net gains in employment and business establishment since 2000. In fact, more than half have seen net losses on both fronts.